Captain Kirk’s words from the original Star Trek have promised a world of face-to-face communication with a click of a button for nearly half a century now. And while it’s been possible for at least a decade, implementations that involved sitting at a computer or talking through a tiny “video phone” screen at a table haven’t quite lived up to the original premise. 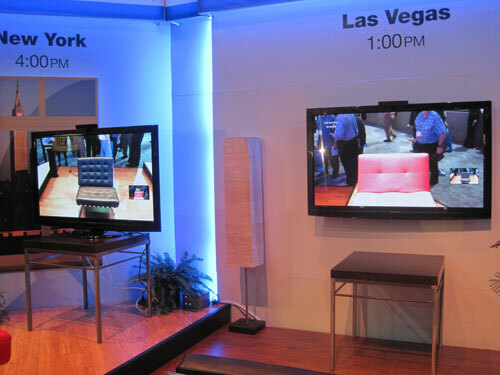 The availability of Skype webcams on HDTVs, which cropped up for the first time at this year’s Consumer Electronics Show, could change that. 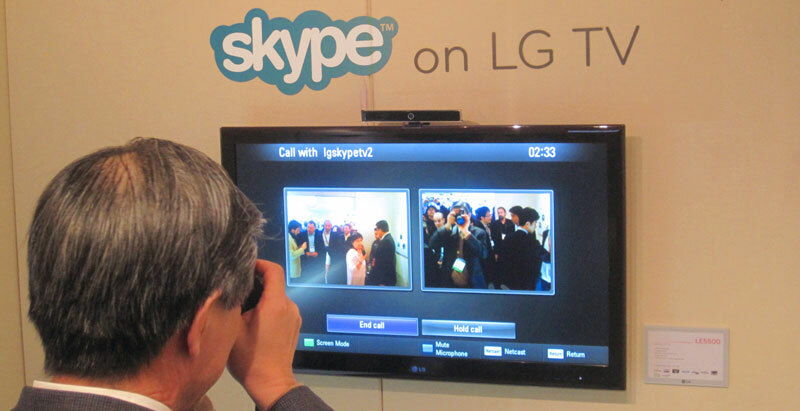 Both Panasonic and LG will offer Skype packages for select televisions later this year, allowing owners to open up a 50-inch porthole to other living rooms with a touch of a button. From the seat of your favorite recliner. A lot like Captain Kirk. Both manufacturers will offer the option on TVs that already have Internet connections, making Skype as simple as downloading an app or widget and plugging in a webcam – a proprietary one designed for the TV and marketed by its manufacturer, of course. Panasonic claims the distance between couch and TV necessitates a specially designed hardware, which I can actually believe thanks to prior escapades in videoconferencing. My dad, 2,700 miles away from me in Rochester, NY, likes to hook an Asus Eee netbook up to his TV at home and videoconference me with Skype. Everyone in the room – just blurry dots to me on my laptop – has to really speak up, and even then they’re barely audible. Meanwhile, my mug is blown is blown up to 50 inches like the talking head on Apple’s 1984 commercial. Clearly there’s room for improvement here. Both demos from LG and Panasonic seem to have nailed the ease-of-use aspect, although we’ll wait until we get one in for review before assessing the quality. It goes without saying that video piped in from a webcam across the world still won’t take advantage of the full HD quality your TV is really capable of (expect 720p with massive compression), but we’re confident Grandmas don’t need to see babies in 1080p to be thrilled. LG will offer Skype on 26 of its NetCast-enabled televisions beginning in the spring, available only with the purchase of a webcam and microphone accessory bar that mounts to the top of the TV and should run around $100. Panasonic will offer the same type of accessory for its TVs with Viera Cast in the spring, but with a price tag somewhere around $200. 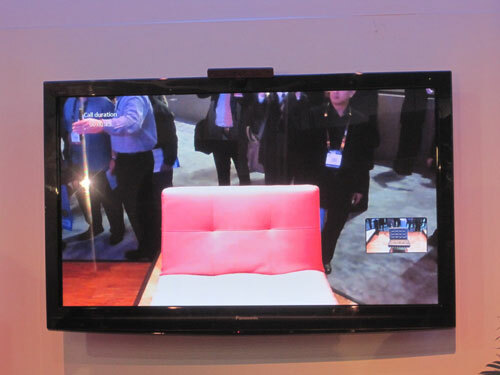 Check out our Video of LG’s INFINIA HDTVs Featuring Skype from CES.